Why are we working ourselves to death to reach an ideal of “the American dream”, which ends up leaving us empty and alone? We are told to be independent and achieve, even if it means pushing other people aside in the process. The “every man for himself” mentality of America is resulting in people with longer wish lists and empty hearts. God himself is very relational and is always in community with the Trinity (Father, Son, Holy Spirit). During Jesus’ time on earth, he lived in community, having 12 disciples as his closest friends. Not only does great joy come from relationship, but also accountability. I am a lot more likely to fail/fall short in some way when I have no one around to see what I’ve done. Additionally, emotional support–or “bearing one another’s burdens” — is a huge benefit of community. I know from personal experience, I wouldn’t be where or who I am today if I was in life all alone. Lets face it – life is straight-up hard. We face things that knock us right off our feet. If you haven’t gone through something really difficult, you will. Not to mention, navigating through controversial issues we face today — including recent media topics of sexual orientation, race, & gender identity– add internal battles to the list of why life is hard. Our enemy is always looking to divide — our families, churches, groups, or other any type of relationship. If the enemy can get us alone, we are left with only ourselves and our thoughts. When we seek answers to life’s questions inside ourselves, we are left with our sinful nature and desires to make decisions. There is nothing more empirically verifiable, yet intellectually resisted as the destructiveness of human nature. The corners of your mind are the last place to look for answers to meaning, morality, and destiny. Lets face it, the best answer most of us have to negative life circumstances and internal confusion is a pint of Ben&Jerry’s. What would happen if we became more community oriented? If instead of focusing on our own success/achievements/issues– at the detriment to our hearts–we poured into our families, friends, and reached out to outcasts? Luke 15:1-10 says, “Now all the tax collectors and the sinners were coming near to listen to Him. Both the Pharisees and the scribes began to grumble, saying, “This man receives sinners and eats with them”. Jesus included the outcasts and loved them. When Jesus reached out to the Samaritan woman at the well, he changed her life. She became a witness to other Samaritans, spreading the good news of Christ’s love and the new life he had to offer. What would happen if we made an extra effort to pull in those who feel like outsiders? What if we let them know that there is a place for them, no matter their past or what they are carrying. It is important to unite based on our similarities, rather than divide over our differences. In ANY relationship, the people involved will not agree on everything. Disagreement does not need to be disrespectful. Why do we draw battle lines when our ideals aren’t the same? You can value and respect someone for the sake of their intrinsic value, even if they believe very differently than you. Leaving people alone to figure things out themselves is dangerous, which constant division based on differences is doing. Every time we pick teams, someone is left out in the cold. 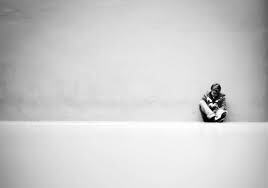 Isolation leads to depression, which can lead to chemical addiction or other mental disorders. Mental illness is serious and can lead to violence — as we’ve seen over and over again in our country. We all need to be more inclusive. We were not meant to live life alone. An “us” vs “them” mentality is harmful and divisive. This entry was posted in Community and tagged #atlantatherapist, #charleston, #community, #loneliness, #mariettacounseling, #mentalillness, counseling, depression. Bookmark the permalink.